This week we will be discussing some bankruptcy fundamentals as a prerequisite to the upcoming blogs about Florida exemptions and when not having equity in your home can actually be a “good” thing. 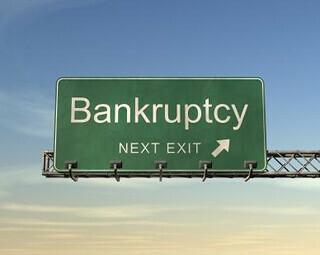 Ch.7 Bankruptcy is referred to as a “liquidation” or “fresh start” bankruptcy. In a Ch.7, debtors can typically walk away with all or most of their property through the use of exemptions, and get a “fresh start” free and clear from debt, judgments, and creditors. Trustee: Regardless of the type of bankruptcy, when an individual debtor (or husband and wife jointly) files a bankruptcy petition, a Trustee is appointed by the court. The Trustee’s role is to review the debtor’s petition and attached schedules to verify the debtor’s financial situation. It is important to keep in mind that the Trustee represents the interests of your creditors, not you. Trustees earn a commission based upon the amount of assets they can “seize”, so there is ample motivation for them to find property that they can use to pay off creditors and themselves. Bankruptcy Estate: Once a bankruptcy petition is filed, all the debtors’ assets become part of the “bankruptcy estate.” This includes both legal and equitable interests of the debtor. This would include your home, car, boat, jewelry, cash, promissory notes, wages earned but not yet received, security deposit paid to your landlord, and any other assets that the debtors may have. Secured and Unsecured Debts: Unsecured debt is what’s typically dischargeable in a Ch.7 bankruptcy. Money you owe to Visa, American Express, or the hospital is considered “unsecured” debt. However, the majority of your valuable property, like your car, boat, and home are usually “secured.” This means that the property is being used as a security interest for the Lender. Any debt that gives the creditor the right to take back a particular piece of property (collateral) if you don’t pay, is “secured.” If you buy a home and obtain a mortgage, that debt is considered “secured.” Whether a debt is secured or unsecured is an important distinction that needs to be addressed early on in your pre-filing bankruptcy planning. Equity: When debts are secured by property, the Trustee by and large will not pursue them. If however, the secured property has equity, the Trustee may take another look at your secured debt as a potential source of payment. Not only must there be equity, but there must be sufficient equity so that the Trustee, after paying your creditor what is owed, could still recover the expenses associated with transporting, storing, and selling the property. Example: If you owe $10K on your car but it’s only worth $10K, then the Trustee will likely abandon it because there will be nothing left once they pay off your creditor. In this example you have no equity in your secured debt and thus, it will likely be yours to keep. Let us assume you only owe $9,000. The Trustee may still abandon the property because there may not be enough money left over after paying the note holder and covering the Trustees expenses. Exemptions: However, not all property in a debtor’s bankruptcy estate is subject to the Trustees control. Federal and state laws have exemptions which list the types and values of property that is legally outside the reach of creditors or the Trustee. If there are applicable exemptions, the debtor would be protected from turning that property over to the Trustee. Join me in the upcoming weeks as we continue our discussion on some of Florida’s bankruptcy exemptions as well as when not having equity in your home can actually be a “good” problem to have. Posted on August 15, 2012, in Legal and tagged Attorney, Bankruptcy, Chapter 7 Bankruptcy, Creditors, Debtors, Florida exemptions, Fort Myers, Landlord, Lawyer, Legal Schmegal, Promissory Note, Property Guiding, Seize, Seller, SWFL Real Estate, The Guirguis Law Firm, Trustee, Vernon Guirguis. Bookmark the permalink. 1 Comment. This is really attention-grabbing, You are an excessively skilled blogger. I’ve joined your rss feed.